For critical operations and enterprise level data storage, we partner with Rackspace® to provide our clients on demand, high availability options. ACI can assist you in developing a disaster recovery plan and implement the required solutions to keep you up and running. Based on your organization’s requirements, our experts can develop a system that fits your particular situation. It does not matter how advanced your equipment, infrastructure, and security measures are; the unexpected will occur. Equipment failure, natural disaster, or a disgruntled employee can put you out of business. Space—How much storage is required? Do you need to have everything backed up? Time—How quickly do you have to be back up and running? How critical is uptime of services and access to data? Speed—How much bandwidth do you have? Do you have the resources to move large amounts of data? Can you do it during normal business hours? Tape backups and removable hard drives that can be stored offsite. Redundant servers and data storage based in our server facilities. Cloud based solutions for data, server, and application hosting and recovery. Don't wait until something bad happens; it will be too late. 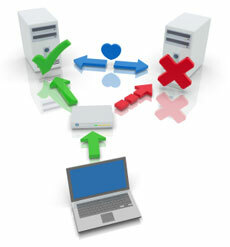 Plan ahead with a well developed disaster recovery strategy. To learn more about how ACI can help you prepare for any disaster scenario, contact us to schedule a free consultation.